Embedding youtube video using the default iframe code fetches couple of files and makes the page load little slower for the end user. Many users may not actually play the video. It also loads a flash file on the page even if we don’t not play the video. 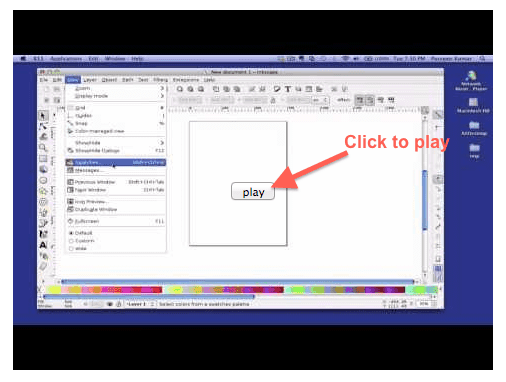 First insert this code wherever you want to display the video image with play option. After above script code (jquery.embedyt.js), insert the following code to insert YouTube video thumbnail image and link into the video container div. Note that the above code runs after the html document has been loaded and is ready. The first line where we pass a function to jQuery ensures that. Here is how it looks when it renders in browser. You can also see a live example in this post. If you want to use some image instead of play button, you can make small modification in the code and replace button with image.